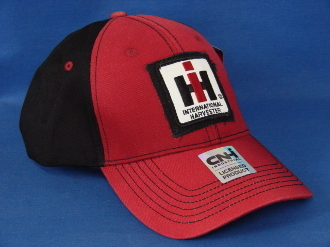 International Harvester Red Bill, Red Front and Black Back Cap. 6 Panel Low-Profile Structured Cap. Raised Classic IH Logo, With Distressing, Patch Embroidered. Black Velcro Closure. NO DISCOUNTS APPLY TO THIS ITEM.